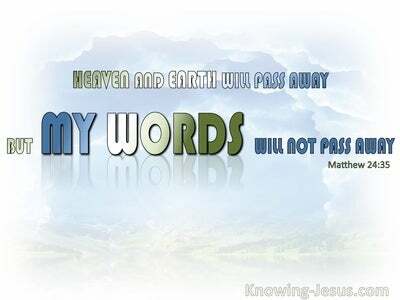 What Does John 17:19 Mean? The word 'sanctify' means: 'set apart' and in this amazing high priestly prayer, where Jesus prays for his disciples to be 'set apart unto God' through the truth of the Word of God.. 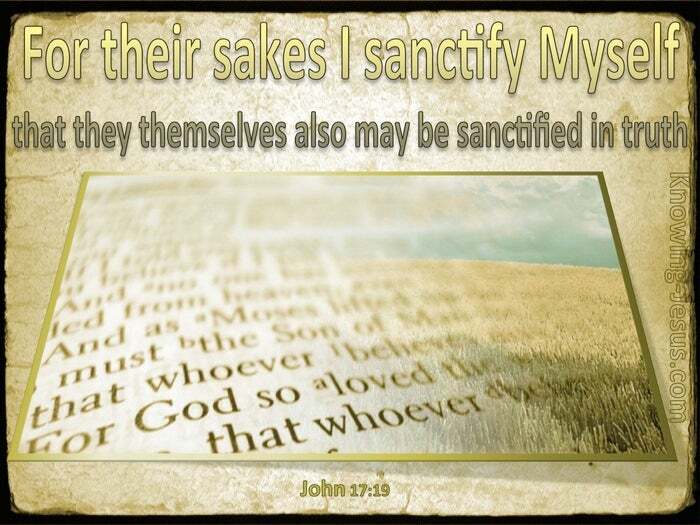 He also sanctifies Himself : For their sakes I sanctify Myself, so that they themselves also may be sanctified in truth. 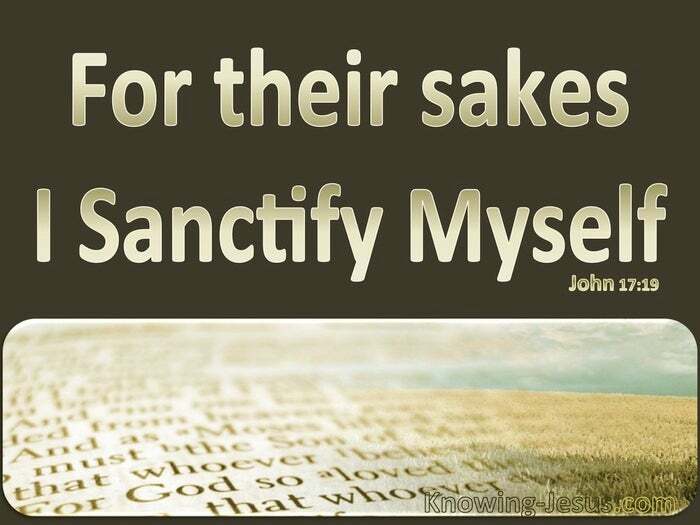 Jesus sanctified Himself to do the will of the Father. He set Himself apart unto God, in order to carry out the redemptive plans and purposes that God had prepared for Him to do - so that all who believe in Him might also be sanctified unto God.. set apart unto Him - to live and work to His praise and glory. 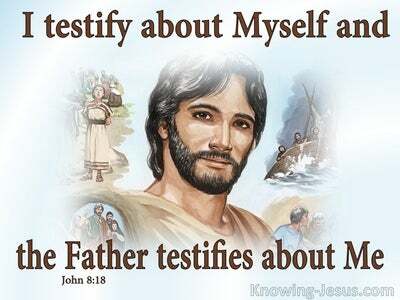 Christ sanctified Himself so that all who believe on Him name might also be sanctified and set apart unto God - in truth. 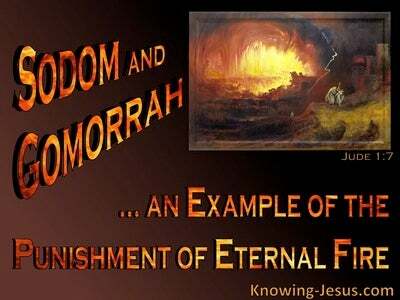 The Lord Jesus was sent into a world of men as a Man - to be the perfect sinless Son of Man and to live a perfect sinless human life, so that the character and attributes of the one, eternal, omniscient, holy God might be revealed to the fallen race of man, through His only begotten Son, our Saviour, Jesus Christ..
Christ was set apart to be God's witness on earth... to represent God in the world and to become the federal-head of a new creation of people - to be sanctified unto God. But the Lord Jesus also was given to the world to die for the sin of the whole world.. so that all who believe on His name might be sanctified and set apart unto God.. so that in His absence they too might become God's witness on earth... to represent God in this fallen world and to become a new creation in Christ - to be sanctified unto God. Christ sanctified Himself to do the will of God on earth for our sakes and to set us an example of how God desires that man should live - i.e. in total dependence upon Him and willing to say. 'Thy will not mine be done'. Christ is the perfect pattern of a man, set apart unto God .. and He sanctified Himself, so that we might be sanctified in HIM - in spirit and in truth. Heavenly Father, thank You for giving Jesus to be my Saviour and thank You for sending Him to be my example and the pattern of how a man, sanctified unto God, should live. I pray that in the power of the Holy Spirit I may live my life sanctified unto God - walking in spirit and truth and living my life in total dependence upon You, to Your praise and glory -in Jesus name I pray, AMEN.